Dear friends, we are happy to announce the new release of the Dating Pro software solution. Following our alphabetical naming tradition, the new version is called Dating Pro Jewel (2017.10). This time, we focused on making it easier for new visitors to sign up on a dating site and to get involved seamlessly in the process. 1. This is a short video presentation of the step-by-step sign-up process. Please also make note of the immediate field validation. Note: If you have connected your site to the Dating Pro Network or plan on doing so, please note that we removed the confirmation page where new users were able to learn more about the Network and confirm their participation or cancel it. Information about the Network is included in the Terms and Conditions that new users agree to when they sign in. If you wish, we can restore the page on your site, please let us know. 2. Instead of the standard captcha, you can activate Google reCAPTCHA on your site by connecting your domain and inserting the site key and secret in the administration panel. -All activities buttons are combined in a single place in a user’s profile so it is easy now to send a message, send a kiss, send a money gift, etc. -Site users can flip and rotate their profile pictures to make for the cases when they take a photo of themselves with a smartphone camera. -Cropping and rotating options are added to the mobile version as well. -This is what uploading files into a multimedia gallery looks like now. The window has been redesigned for better clarity. -When a site visitor signs up on your dating site with social networks (Facebook, Google, Twitter), the system will ask them for missing information such as email address, age, and name, in case the social network does not share this info for privacy or security reasons. -The ‘Online now’ option in the search lets people look for the site members who are currently online. -One can also see when this or that person has last been online on the site. Follow this link to view the new version of the PG Dating Pro script in action. We’ll be happy to receive your thoughts and comments on the new release. Looking forward to hearing from you in the comments below, in the live chat, or by phone 1-844-273-0305 (toll-free for US). 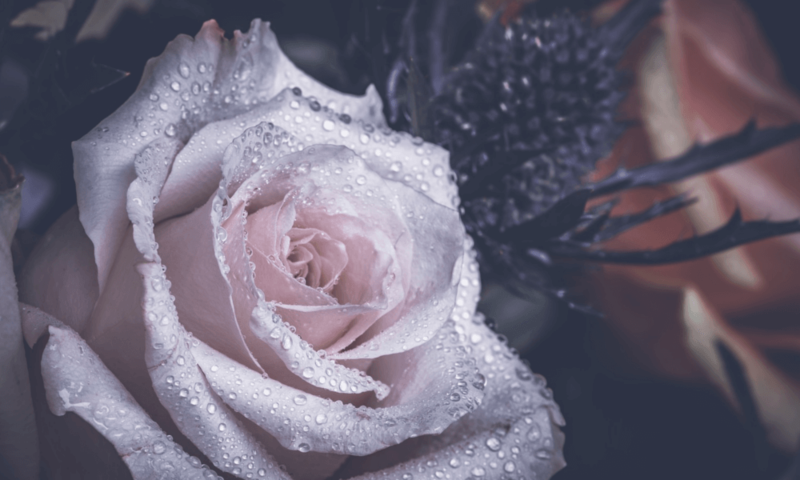 The picture of the beautiful rose, with the sparkling drops of dew, is by Jez Timms at Unsplash.